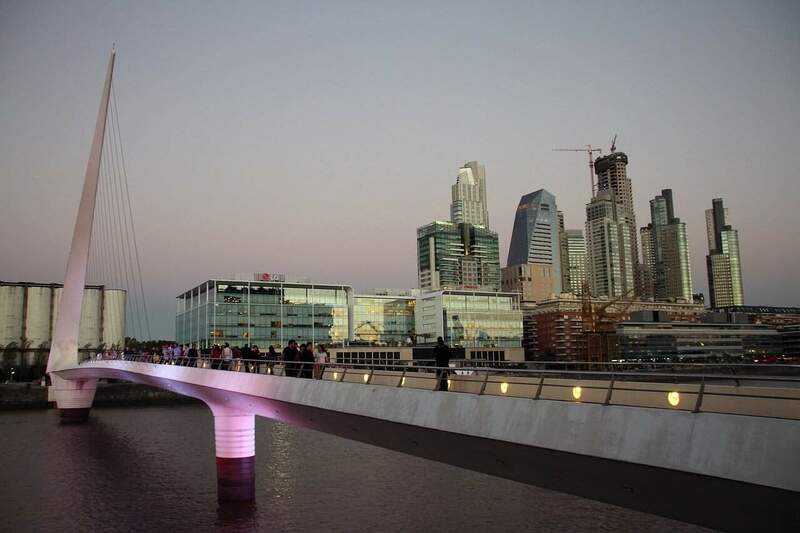 Have you ever dreamed of visiting Argentina and strolling around Buenos Aires? 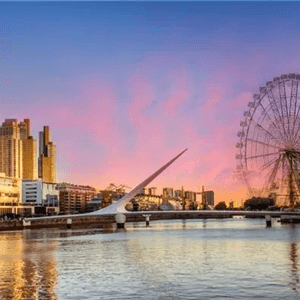 While the trip may not be possible, the Buenos Aires cam can give you and insiders peek at what is happening in this vibrant metropolis. Our webcam for Argentina is available 24 hours a day 7 days a week. Buenos Aires is the capital of Argentina, it is located 150 miles from the Atlantic Ocean in the Federal District (Distrito Federal). Buenos Aires is one of the most important cities in Latin America. Even with the distance from the Atlantic this city is still one of the busiest port cities in Latin America because it is situated on the Rio De Plata (Silver River). Buenos Aires is one of the grandest cities in Argentina. The center of the city is in an area that overlooks the Rio De Plata allowing visitors and residents to soak in panoramic views of the river. This is a modern metropolis that has all the culture and excitement that you would expect. The city is composed of 19th century architecture with plenty to do and see. Buenos Aires is well-known for its scrumptious dishes including the world-renowned beef. The city comes to life at night as the nightclubs are packed with people. It is a fun city for people watching and exploring. Main Attractions: Puerto Madera, Museo Nacional de Belles Artes, Teatro Colon, Carlos Thays Botanical Garden, El Obelisco, Cafe Tortoni, Plaza Dorrego, Caminito, Recoleta Cemetery, Plaza de Mayo and more.